With the native 64-bit Adobe Mercury Playback Engine, the industry's best native tapeless workflow, and unparalleled Adobe integration, Adobe Premiere Pro CS5 sets a new standard in editing efficiency. Work in an open, extensible post-production environment. 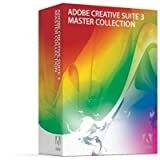 Write scripts collaboratively, gather feedback from clients/teammates, and easily exchange projects with other Adobe software, Final Cut Pro, and Avid software. Optimize video for online viewing as well as broadcast, disc, film, device, and mobile distribution. Use metadata to make production easier, create engaging interactive experiences, and help audiences discover your videos. Native editing support for DV, HDV, RED, DPX, Sony XDCAM, XDCAM HD 50, XDCAM EX and XDCAM HD, Panasonic P2, DVCPROHD, AVCHD, and AVC-Intra, plus Canon/Nikon DSLR cameras. Add uncompressed SD and HD acquisition with hardware cards. Create high-quality visual/editorial effects directly within the editing timeline. Edit faster with powerful tools for precise control and real-time feedback. 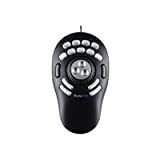 Add color correction and other effects, audio filters, and more. 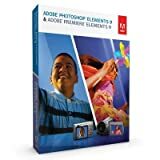 Adobe Photoshop Elements 9 & Adobe Premiere Elements 9 software delivers powerful options that make it easy to use photos and videos together and share in entertaining ways. Now enjoy a complete solution for photos and videos whether you use Windows or Mac OS.